Add a splash of sake. 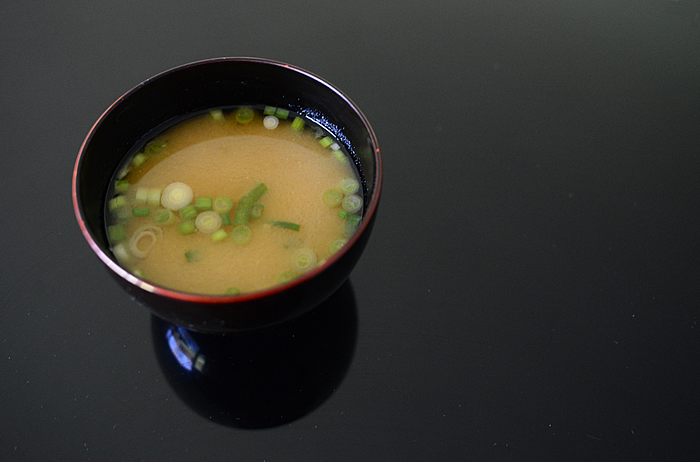 Place 1 cup warm dashi in bowl. Stir, then whisk in miso. Will keep for 2 days. Place rack, 6+” from top element. Marinade halibut for 30 minutes. Remove marinade and reduce to a medium-heavy sauce. Place fish on shallow oven tray and drizzle reduced marinade on top of fish. Cook unto done, typically 6-9 minutes. Check it is done before serving. Is interior white?